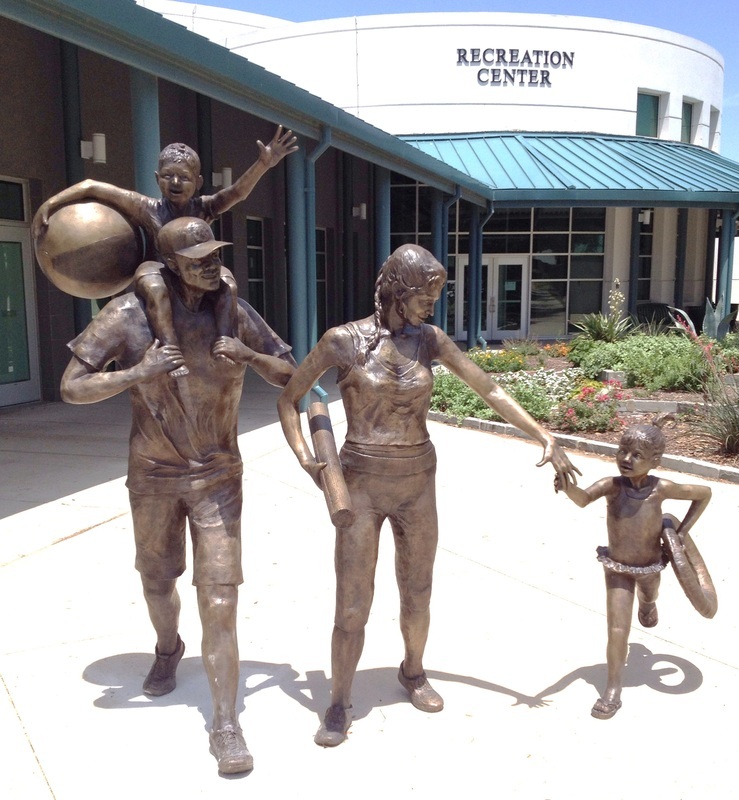 A family is the subject of this sculpture installed at the entrance to the Family LIfe Center. The couple and two children are taking advantage of the activities available to families at the recreation center. 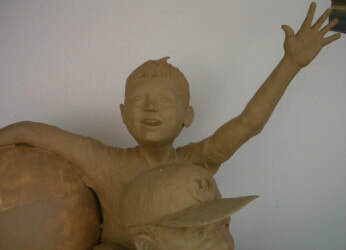 Sports and activities including swimming, yoga and exercise classes are available at the Center and are represented in elements of the bronze sculpture.